When counting your bulk make sure all your cards are in good condition. At this time we are ONLY ACCEPTING ENGLISH Yugioh CARDS. We strongly suggest that you choose a shipping method that includes both delivery confirmation as well as insurance. Please be sure to pack your items securely. BigNCollectibles.Com is not responsible for packages not received. Please note that if your package appears damaged it will be immediately refused upon delivery and returned to you. If your package arrives at our facility with Postage Due we will notify you via email and deduct the total due from your sell order. We will notify you when the package arrive and we will also notify you when we ship your Booster box and we will include tracking and insurance when we ship your booster box. Option 1: Booster Box - Send us 4000 bulk cards and you will get 1x Cybernetic Horizon booster box then we will ship it to you as soon as we receive your bulk. Option 2: Store Credit - If you want store credit we will give you $0.019 a card, you can use it on anything on our website. When you send your bulk in please include your name on or in the package and Order #. 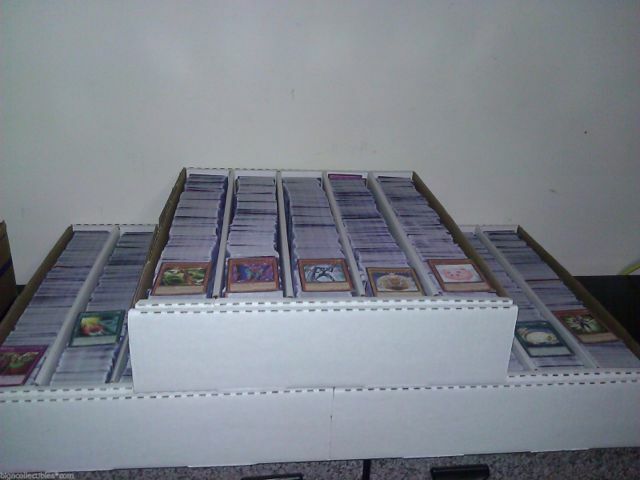 Once we receive your Bulk Cards it can take up to a week to process and verify the bulk. So make sure to send them in a timely manner.